While being raised as an adolescent and teenager, I would sometimes hear the phrase: “Liars go to hell.” I have to say, that at that time, I didn’t know that reality was actually stated in the Bible. At the time, it made all the (moral) sense in the world to me. Telling the truth was always considered the healthy moral norm and lying through one’s teeth was the abnormal thing to do. I say “abnormal” as opposed to being honest. But, as a child, I would do my share of lying. One specific lie, I recall, was deceiving my father. The old church custodian lived near the church building. He took deathly sick and my father encouraged me to visit, old, Otto. Otto would always reward us neighbor children for helping him in any little way. He would reach down into his farmer jeans pocket with his large hands for that ever familiar squeezable small coin purse. We all loved Otto as he seemed to us (at our tender ages) to be a permanent fixture to the church, as even the steeple, itself. Shortly after lying to my father, Otto died - and, I hadn’t visited him, as my father, exhorted. And, before Otto passed away, my father asked me if I saw Otto. I told him "Yes," - lying through my childish teeth. As I look back, my grief over Otto's death was compounded because I had lied to my father and I was doubly troubled over the regret of not visiting dear old Otto, when I could have and should have, after being encouraged by my father. Barack Hussein Obama continues to be under investigation for forgery. Not only is he being investigated for various illegal activities, he is under heavy criticism for usurping the US presidency because he does not meet the US Constitution's requirement for being a "natural born citizen." When Obama campaigned for US president he made lofty and admirable promises for transparency in his administration, should he be elected president. Sadly, the majority of the voting electorate believed his snake charming promises and voted him into office. Obama even lied to the huge Christian voting bloc, claiming that he was a Christian, when in reality he is no more Christian, than the man in the moon. Note: "Obama’s huge religious lie." Also note: April 2013 Update - It has now been determined after a 15 month legal investigation that Obama has an illegal birth certificate. It has been forged. See the following article. What could be lower than being deceptive over one's required qualification for the US presidency? There are all types of examples how people lie to one another. It takes place in personal relationships; spouses cheating on one another and sneaking around, lying to their married partners. Business partners lie to one another by withholding essential information, to gain a selfish influential and financial advantage. That same scenario also takes place in private business and the public stock market sphere where information is withheld or illegally secured and insider trading takes place to reap profits off unsuspecting shareholders. We could go on and on listing the various ways in which deceit is utilized by people, against (other) people for selfish and covetous purposes. It amounts to lying. 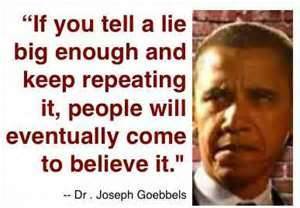 And, lying - not telling the truth, takes on various malevolent forms of deception. People are so busy lying to others that they end up lying to themselves. 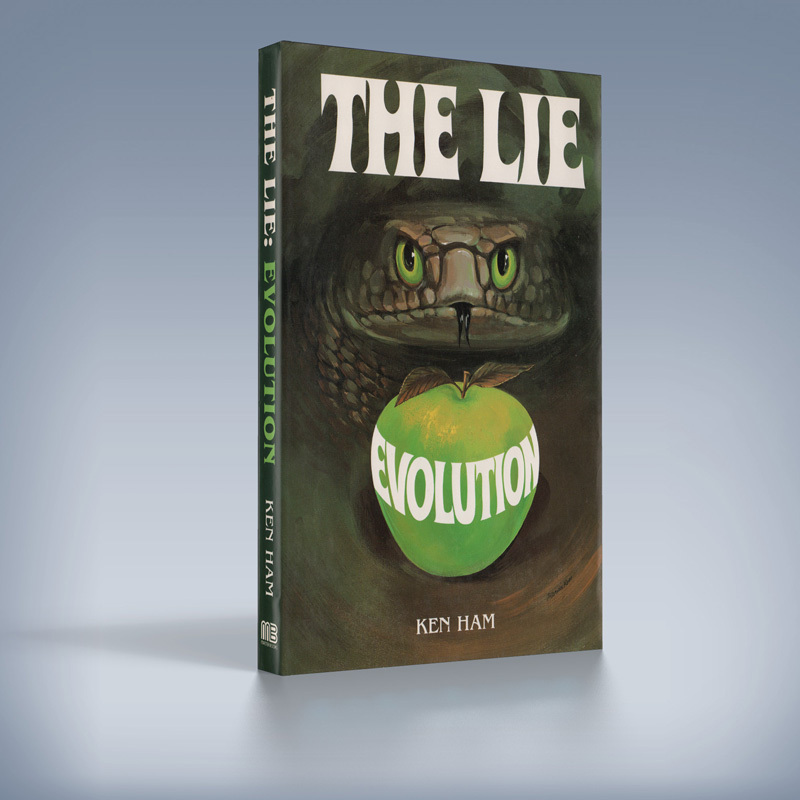 Because of their many deceptions, attempting to gain superior advantages over their peers and others, the liars themselves become trapped in their own deceptions. They become reprobate and can no longer distinguish truth and reality from their own manufactured worlds of sham and trickery. Pardon me for again bringing up our US White House occupier [so-called] “president” into an example focus, but, he is a suitable example of a person lying to himself. He actually believes that he is helping the financial poor by all his re-distribution of wealth schemes and extortion maneuvers. As he does this, our America becomes a much less stable financial environment in which the poor are less capable to gain employment to benefit and upgrade their citizen, financial and personal status well-being. reconcile that lie to the truth of the Scriptures. A form of lying to oneself is becoming overcome by deception. Christians sadly fall, prey. Christians are exhorted and warned to put on the whole armor of God [Ephesians 6:10-18] in order to withstand against the wiles and distortions of the evil one, the devil. [1 Peter 5:8] When Christians entertain and consider, for usage, (as some Christians are currently doing), the current culture’s politically correct Bible translations, (which depart from the original patriarchal language of the ancient Biblical manuscripts), those Christians, are actually deceiving, – lying to themselves, (when they speak with forked tongues), claiming that they are totally committed to the inerrancy of Scripture. The one Scripture which highlights why lying to God is so damning for human beings – (especially their priceless souls), is that New Testament Scripture of Romans 1:18-32. Incidentally, this Scripture is especially offensive to homosexual activists because it hones in on their specific deadly sin. When a Christian or non Christian fails to honor God as He has plainly made know, - that failure is a result of lying to God – refusing to worship Him as God commands. Refusing to honor God and His holiness, is deceiving one’s own being. It is lying to yourself, - convincing yourself that you must (somehow) know what is best for your life and priceless soul. That type of lying deception shuts God out of the (saving) process and invites all but God’s truth and divine revelation to make inroads upon your very priceless soul. Do all liars go to hell? Will you go to hell? repent of their sins and believe in the Savior. If you have lied just but once in your life, you qualify for hell. We are told in God’s holy book, the Bible, that if we only sin once, we are guilty in God’s estimation, for having broken all of His Commandments. Breaking, (disobeying) God’s commandments, is “sin.” And, the Bible says that sin brings upon his created human beings, total alienation from Him and all that is right, just and holy. Being sinners by birth [Psalm 51:5 ; Romans 5:12] makes all of us future recipients of a punishing forever perdition. But, will “all” liars end up in hell? If we only consulted the aforementioned Scriptures, we would have to conclude that all liars will suffer eternal damnation, including this emeritus Christian pastor, Nathan Bickel. Revelation 21:8 ; Revelation 21:27 and Revelation 22:15 – tell us this. One verse that has always had an impact on me is one found in Isaiah 63:8 "For He said,"Surely they are My people, children who will not lie" So He became their Savior" I never want to hurt God, so this has become a life verse for me. I enjoyed your article very much; very thought provoking. The people that say hell is a place are they themselves lying. Hell is Gods glory seen by the wicked as hell. I disagree. Your comment is not based upon Scripture. You are basically saying that hell experienced by the wicked, is based upon their perception. On the contrary. Scripture teaches that is is a very real destination eternity for the wicked. It is absolute and not subjective in nature. Simply put hell is God's glory - light to evil devouring evil on judgment day. The people writing the article believes religious lions. I find your comment to, not only be confusing, but, also ambiguous. Please refer to my first response to your first comment. I had this happen to me. My daughter recently died - she had seizures, 3 craniotomies and cancer. When I look at her life I see how wasted it was. She would not work or take proper care of her children. She would not keep herself or the home clean. She was a glutton, a thief and a sociopathic liar. She manipulated everyone she could to get what she wanted. Including me. I was sitting at her deathbed in the hospital and I was on her phone texting her friends and started reading her messages. She was telling her "friends" all manner of lies about me - she told them I hit her and her daugher all the time for no reason. That I threw her food out and she could not eat in the house. She put words in her daughter's mouth (my granddaughter told me everything) and would record our private conversations and send them to her friends to "prove" her point. When I look back I can see times where she was trying to trick me into admitting things that I didn't do. I begged this child to change her ways, to change her diet and manner of living. But she would not listen. I have over 75 emails that I sent to her- articles about fasting and how it allows the body to rest in order to heal - she told me "I don't want to read no articles". Oh the tales I could tell. She stole from me and others. She was extorting money from at least two men, telling them that they were the father of her child. I found out things about her that I really didn't want to know. Her last text to me was "we love you ma" while she told others evil things about me. I have no doubt in my mind that this child went to hell. She was a lovely, intelligent girl...who wasted her life. She was bitter about the choices she made in life and blamed me for everything - even getting sick.I prayed at her deathbed for God to have mercy on her. But I know in my heart that it was too late. While she was living, she was past the point of believing the truth and would accept no responsibility for any wrongdoing on her part. So God sent her strong delusion. But it was more than that. The bible says "Honour thy father and thy mother: that thy days may be long upon the land which the Lord thy God giveth thee" Exodus 20:12 and "For Moses said, ‘Honor thy father and thy mother,’ and, Whoso curseth father or mother, let him die the death." Mark 7:10. Before she died that girl cursed me and threw objects at me while screaming "help, she's abusive". She had drawn the line. Young people if you are reading this you had better start paying attention. Hell is a one way ticket and once you get in you never leave. If you don't know the Lord Jesus Christ you had better come to know him now before it is eternally too late. Do not think this can't happen to you if you follow the same path. Young people no longer outlive the old and this is the most disrespectful generation the world has seen so far. I pray for their children. Thank you for sharing this about your daughter. I can't even imagine how you feel. Hopefully some priceless souls will benefit from your woeful recounting of your daughter's lying life. Please stay strong. Keep the faith! And, also, do not allow the evil one to put a guilt trip upon you. It sounds as if you did your part in raising your daughter right. She chose of her own free will to go astray.